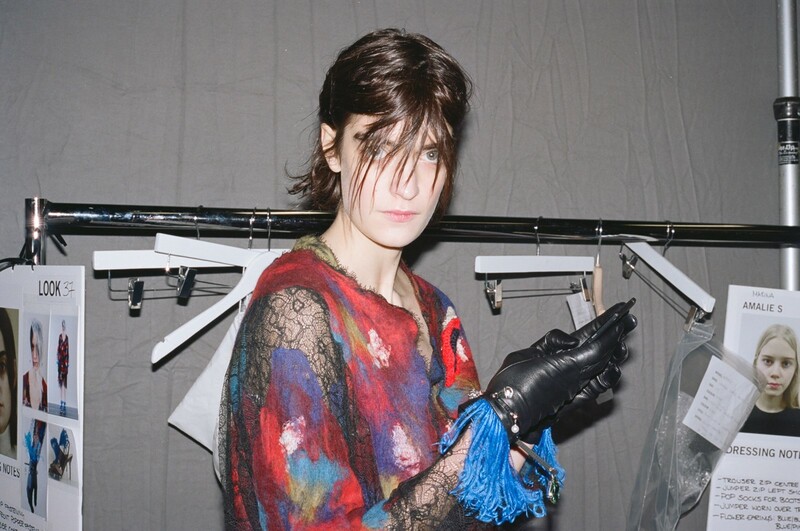 Christopher Kane’s process is like a literary stream of consciousness or an interior monologue – although that might be qualified as a dialogue, as Tammy Kane is intrinsic to the shaping of the collections; the two have a symbiotic relationship, more like twins rather than elder sister and younger brother – Tammy is five years senior – they bounce and develop ideas off each other. Once, when Tammy was questioned as to why her name was not part of the label, she replied, “It is. My name is Kane.” Christopher retells this anecdote with some pride. She is the most important influence in his life. We are sat in the office that the siblings share within the Kane studio in Dalston, East London. Dead flowers are scattered all over the floor, impossible to ignore when we first walked in – it looks like they have been hitting each other with them. This is a distinct possibility. The dead flowers are part of the detritus of the design process for the Autumn/Winter 2016 collection that will be shown in three days time. And it is a collection that is itself about the detritus of glamour; the transformative, talismanic power of stuff made fashion by Christopher and Tammy Kane. As teenagers in the nineties, Christopher and Tammy Kane would escape to the shops in Glasgow – the big city with the best stores nearest their hometown of Motherwell in Scotland. Motherwell is an unprepossessing former steel town; Christopher and Tammy Kane grew up on its outskirts. They both wanted a different life from the one mapped out for them in that place. For working class girls and gay boys, fashion is often the equivalent of boxing or football – although, of course, those things can be partaken in too – it is the classic ‘way out’ and just as tough to excel in. And both Tammy and Christopher Kane discovered this at a very early age. “We didn’t think we were better than everybody else, but we knew, we just knew our lives would not lead down the same paths as everybody else’s,” says Tammy Kane. “Versace stood out for us when we were growing up – it really got us hooked. Now I’m pals with Donatella – it’s weird.” In the nineties, Glasgow was one of the Versace capitals of the world, with one of the biggest stand-alone stores. And it is this dream world of Versace that created a seismic shift for the pair and still holds sway. In 2009 Christopher Kane fulfilled many of their childhood ambitions when he became the designer of the re-launched Versus Versace line for seven show seasons. Yet there is as much Motherwell as Milan in what the duo do, and this is the key to the Kanes’ own unique dream world that they have created through their own clothing line. The Autumn/Winter 2016 collection is no exception – if anything it has gone radically further and ‘newer’ than ever before for the duo. And yet all the signs of their past lives in Motherwell are still there… Only it is Lesage and Stephen Jones that have been enlisted to transform the humdrum into the luxurious and exotic this season. 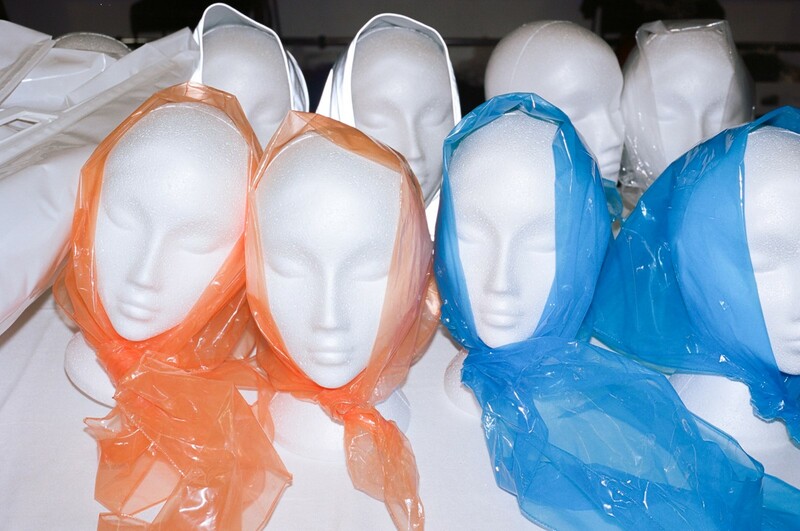 There are Auntie Mary’s rain-mate bonnets: “Auntie Mary doesn’t believe in hummingbirds or seahorses. 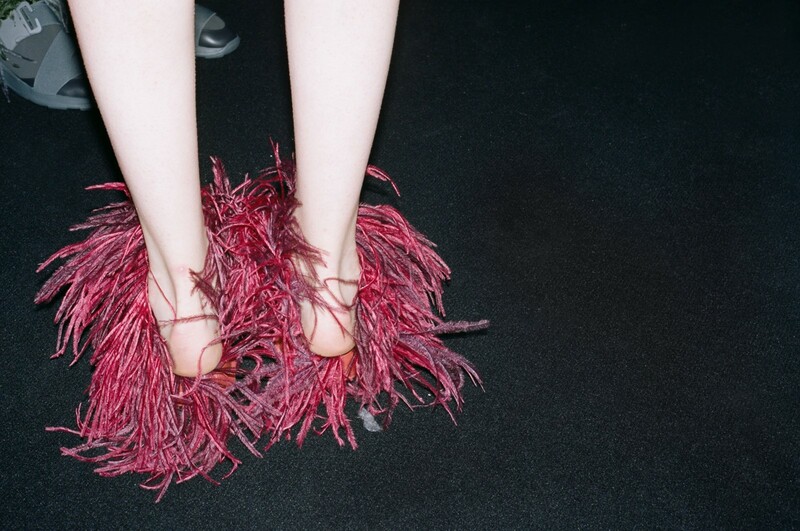 She doesn’t believe they exist,” says Christopher Kane. “And our mum always used to wear these terrible headscarves to pick us up at school. We’d go mad at her for wearing them!” says Tammy Kane. Christopher and Tammy’s mother, Christine Kane, is always an abiding influence on the clothing. And it was the shock of her untimely death last year that has made a bigger impact on recent collections – pushing her children to go further and follow their hearts even more. There is always an element of Taylor High – the RC secondary school both siblings attended – here found in the school pinafore with a collage of found buttons. Another relative’s dog blankets and carpets – often full of newborn puppies – find new form in loop stitched woollen coats and knitted suiting. Yet there is still a sense of exquisite luxury and taste in the collection – that dress might be made of strips of pleather, but it is interspersed with the finest Swiss lace, while a haute-bourgeois fox fur coat is transformed by a reflective fabric lining and Chantilly is felted and faded to become a new form of sumptuous fabric, just one that has never been seen before. While the Kanes might still be the true outsiders and weirdos of British fashion – and all the better for it – they also understand, subvert and make anew standards of traditional luxury. 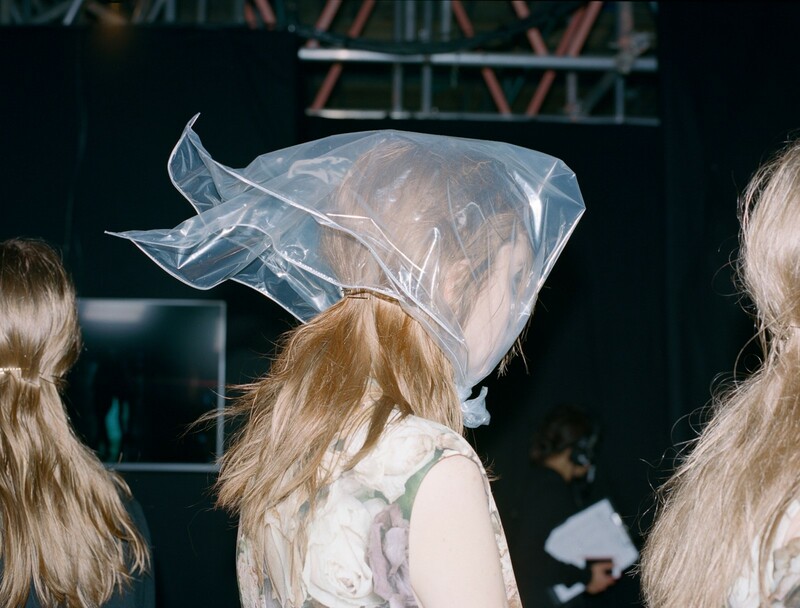 While establishment figures, such as Sam Cam might be sat at the show, so is their Auntie Sandra – she has a partiality to rain-mates too and still wears Christopher Kane. And it is this inclusive combination, so unique and idiosyncratic, that makes the house of Christopher Kane so alive and full of experiences. It also makes Christopher and Tammy Kane truly able to define what the future of high fashion is.